The Best Cold Brew Coffee EVER! I’ve been drinking coffee from my friend Nicole over at Holler Roast Coffee for months now, and it’s fantastic any way you fix it! 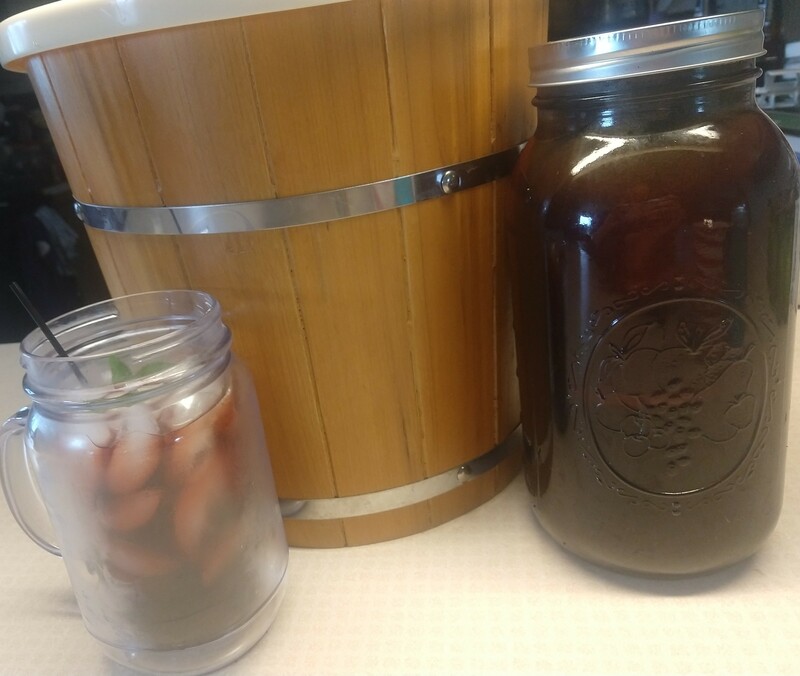 Cold brew has been my preparation method of choice lately though, so I thought I’d do a quick blog post about it. Cold brew coffee has been popular for a while now, and I can see why. It’s less acidic, and to me, the flavor profile is more rounded without bitter or flat notes. Now, if you’re starting with a fantastic coffee like Holler Roast, you wouldn’t think that you could make it better, but trust me, you can. Next, I add one cup (about three ounces) of medium ground Holler Roast, and I fill the jar to the top with filtered water. Then I put the lid on my jar, I put the jar on the counter, and I wait. How long does it take to make good cold brew coffee? Well, I’ve had cold brew that I’ve consumed after about twelve hours of steeping, and I’ve had cold brew that’s steeped for closer to twenty-four hours. The shorter you steep your coffee, the less concentrated the end product will be. Personally, I usually let mine go for twenty to twenty-four hours, and that seems to be the sweet spot for us. After the coffee is done steeping, I pull the filter out of the jar and stick the coffee in the fridge. When I want some, I pour it over a cup of ice and I enjoy every last sip! I love drinking my cold brew black. Sometimes I’ll add a dash of sugar-free flavored syrup, and this morning, I tried it with a fresh sprig of chocolate mint from my “pot garden”. Yes, you have to wait to try it the first time, but if you have two jars, you can have one jar steeping while you’re drinking the other jar. This entry was posted in Blogs and tagged coffee preparation. Bookmark the permalink.